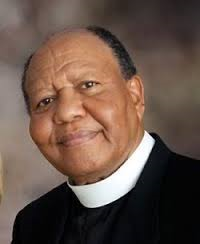 Archbishop Kirby Clements, Sr. is the senior pastor of The Community of the Holy Spirit and the co-founder of The International Connection of Ministries. For thirty years he served as a pastor and presided over a network of churches at the Cathedral of the Holy Spirit, one of the first mega ministries in America. He connects churches and ministries and provides wisdom and counsel. He has ministered extensively, both nationally and internationally to countries in Africa, Asia, Australia, the Caribbean, Europe, North America, and South America. Recently, he was elected to serve as the presiding leader of the International Communion of Charismatic Churches, a network of over six thousand churches and ministries. He has authored a number of renowned books and publications on church structure and ministry. His commission is to facilitate the effectiveness and productivity of churches, leaders, and people. In addition to these duties, Dr. Clements maintains a private practice in dentistry with a specialty in prosthodontics.